A few years back Play.com had as its lead piece, Top 10 list of films that make grown men cry (the original web page has since disappeared). I don’t believe it ever became a ‘official’ meme, but I’ve seen similar reported on various newscasts over the years, as well as other online pieces on the subject. Including some blog posts, just like this one, where someone adds their 2¢. Let’s not forget this UK site is an online retailer in the business of selling movie DVDs and Blu-rays. Takes no great leap that the site looked to spur film sales than make a point. Yet, this was an emotional subject and due all serious consideration. Ahem… as Tracie Egan Morrisey stated in her Jezebel piece, “If a man cries, he fears it will earn him ridicule — unless it’s for a film role, in which case it could earn him an Academy Award.” Hell, even Wikipedia has its own entry, Guy-cry Film. The key themes of this “…are concepts of brotherhood, sacrifice, loyalty, and family.” There is a physiological component, though, that Paul J. Zak made clear in his 2009 Why We Cry At Movies – Confessions of a movie crier piece for Psychology Today. Neuropeptides are small protein-like molecules (peptides) used by neurons to communicate with each other. The neuroeconomist noted the neuropeptide oxytocin modulates the quite human ability in people to understand and share the feelings of others. In other words, empathy. It correlates with most us (Hannibal Lector, Anton Chigurh, and the like need not apply). That he went on to explain all this after seeing one film in particular (a Clint Eastwood work [†] I’ll include on my list) shouldn’t surprise. Those of us who’ve encountered it can certainly identify with his reaction. You might as well list the entire Toy Story trilogy here. I personally can’t get through any of them without this reaction. Jessie’s Song sequence in Toy Story 2 and Andy’s final good-bye to his playthings in Toy Story 3 epitomized those moments. Sorry, but Forrest Gump hasn’t elicited much from me in subsequent viewings. The closing scenes with father and son in Return of the Jedi made up for more than a few problems with the film, or Lucas endless digital edits to the series. As much as I’ve enjoyed ET over the years, I’ve come to feel a tad ‘used’ by Steven Spielberg in this instance. But that’s just me. If for nothing else, the old couple laying next to each other one last time, or Jenette Goldstein telling the final bedtime story to her children, Titanic will sink me every time (up until that ending). I’d put Jerry McGuire (which I found irritating) and Marley and Me into a sub-category of film where I imagine most guys got hauled off to because their dates wanted to see the films. No way they voluntarily opted for these on their own*. Up and The Shawshank Redemption are way too low! Who put this list together?!? * the exception would be The Notebook, which I admittedly came to because of James Garner’s opinion and his role in the film. Gladiator – Any guy that lists this film as a favorite, and doesn’t feel something by the time Maximus ends his journey to Elysium, is either lying or made of stone. Brian’s Song (1971) – I was 16 at the time I first saw this. 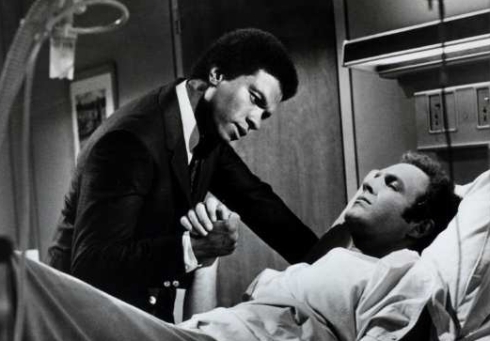 Needless to say, among my friends and other young males in high school, none of us could verbalize any part of that hospital scene we watched, err…experienced, by the next day. 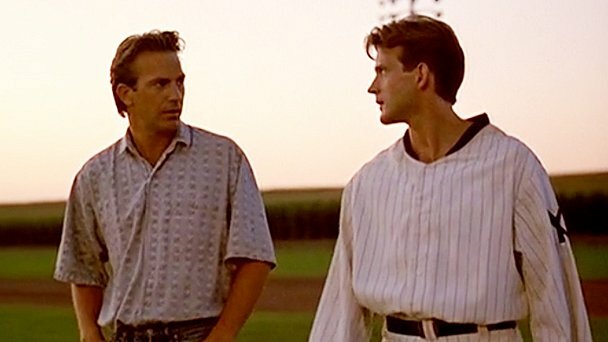 Field of Dreams – Between old Doc Graham coming off the field to save the child choking to death, and Ray and his long dead father playing catch at sunset, I lose it every time. Schindler’s List and now 12 Years A Slave – Specifically their endings…I don’t have to explain this, do I? The Iron Giant – The Iron Giant’s choice of what it wants to be, instead of what it was built for, has lost none of its power. Even after multiple viewings all these years later. Wall•E – See why here. Million Dollar Baby – I have no words. Devastated was I in the movie theater after Maggie Fitzgerald and Frankie Dunn’s last scene together. I still have the disc in my library collection, unopened. 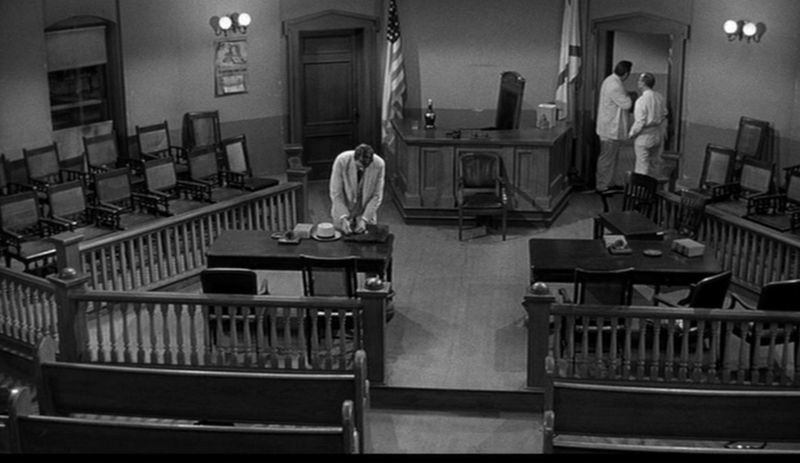 To Kill A Mockingbird – There so many scenes here that get to me, but if I’m to pick one… “Jean Louise. Jean Louise, stand up. Your father’s passing.” is it. Old Yeller – It got to me as a child when I first saw it…and hadn’t a dog in my life to that point. I simply don’t know what Travis’ realization would do to me now. Star Trek II: The Wrath of Khan – I gotta tell ‘ya, my throat was so sore keeping it together with my date at the time when I first saw this in theaters. And don’t get me started on what J.J. Abrams and Star Trek Into Darkness did with it. Just don’t. 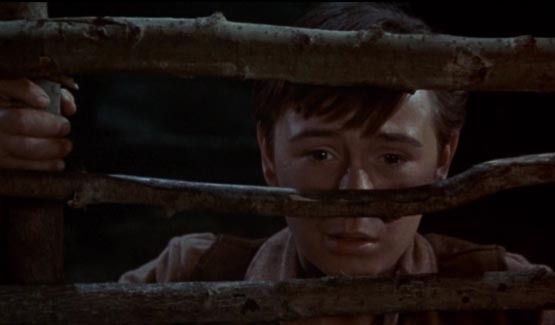 Pat Garret & Billy the Kid – The poignant death of Sheriff Baker in this western will always haunt me. The melding of Bob Dylan’s song, Knockin’ on Heaven’s Door, within the scene just makes it even more heartbreaking. 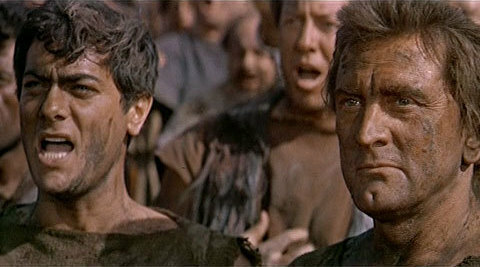 Spartacus – Yeah, it’s that one scene, “I am Spartacus!”, in Stanley Kubrick’s epic. Parodied for years now, but it still resonates. What of it? 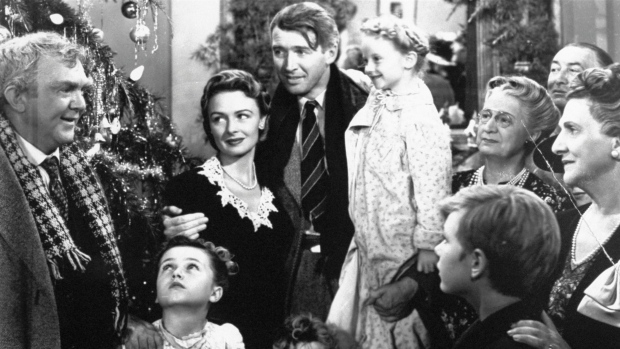 It’s A Wonderful Life – How can I not mention this film’s ending? A journey that rewards every single time I watch it. What movies bring you to tears? You don’t have to be a guy to choke up over your examples 😉 Old Yeller –Oh, Roddy McDowell ! Million Dollar Baby makes me bawl. 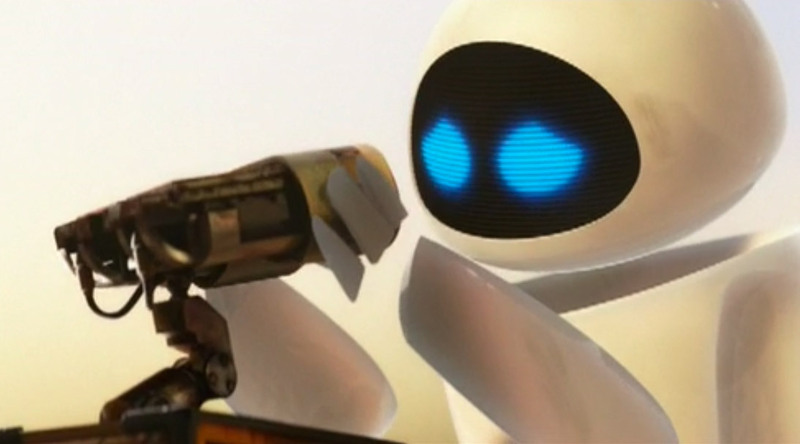 Wall-E, Gladiator, Schindler’s , 12 Years a Slave–where’s the Kleenex box? Oh, yes. Please pass that Kleenex. 🙂 Thanks, Cindy! I’ll tell you one that may not have the same effect on others – “Inception”. I won’t give the last scene away or the questions surrounding its interpretation, but that scene with Leo gets me misty every time. 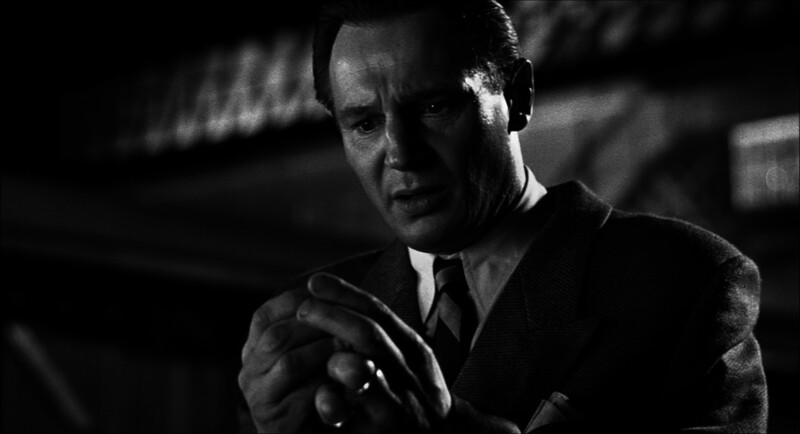 Zimmer’s music is absolutely perfect and Nolan frames the entire sequence in a way that gets my heart racing. As a father, well I’ll just say it gets to me. You list is a million times better than theirs!! Bravo!! I don’t think I cry at any of their films except “Toy Story”, and I am a crier. Every single one of the films on your list gets me time and time again. Glad to hear that these same movies have an effect on someone else. Thanks for the spectacular list!! Thank you very kindly, Paul, and thanks for the retweet. 🙂 Much appreciated, my friend. Good to know these films, and our reactions to them, are shared. GREAT list here Michael! I’m a crier generally when it comes to movies, but some of the scenes here literally had me bawling! Jessie’s Song sequence in Toy Story 2 and Andy’s final good-bye to his playthings in Toy Story 3 are definitely tear-jerkers. The scenes you mentioned in To Kill A Mockingbird, Gladiator, Wall•E, Schindler’s List, they’re all soul-stirring. 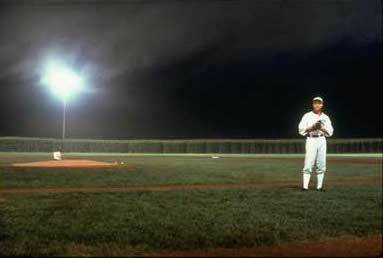 Oh as far as sports movies go, I cried when I saw RUDY w/ my brother years ago. Magnolia and The Passion of Joan of Arc really make me cry, both two of my favorite films. Great list, Michael. I haven’t seen many of these, and some don’t make me cry, but It’s a Wonderful Life gets me every single time. From newer films, the last one that made me sob was Gravity. That scene where Sandra’s character is listening to the dogs over the radio just broke my heart. You’re certainly welcome. It was a great read. Even coming from the UK, i can’t defend that promotional tosh that Play.com that you found, Your list really resonates with me. Its the Bank run that really gets me the most in Its a Wonderful life the most. Capra was the master of sentimentalism, IaWL really is a culmination of that body of work. Helped in a great part by Stewart who we are rooting for from the first time he’s on screen.